Apple said to be circling Kinect firm, bringing motion control to iTV? Apple is said to be in discussions with the developer behind the Xbox 360's 3D motion tracking Kinect sensor. Israeli newspaper Calcalist reckons that Apple is offering $280 million to buy PrimseSense, with senior engineering managers from Cupertino visiting the company in Israel in early July. The two are still "in talks" for the time being, and said talks are still in early stages, so Apple has nothing in the bag just yet. 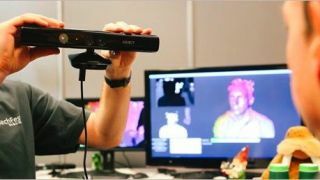 PrimseSense's sensor tech was used to build the first Kinect for the Xbox 360, but the technology is found in over 20 million devices around the world. While you might have a few ideas about how this can be implemented into Apple's current product lines, one thing to come out of the Apple rumour mill recently is that the company is looking at motion control for the fabled Apple iTV. Rumours of the Apple TV set - or iTV - have been swirling for some time now. If Apple is in fact looking to get PrimseSense's technology on its supposed TV set then we'd say that it could still be some time before we see the mythical iTV in the flesh. With PrimseSense's technology, Apple would also be better equipped to edge further into the living room gaming space, a move we think it's been plotting for quite some time now. And, of course, it's worth remembering that Apple has "talks" with all sorts of companies all the time. Remember when it was "in talks" with Valve? And that turned out not to be true. So, as with all Apple rumours, let's crack out the salt cellar for this one.